If there's one part of my face I've always struggled to cover with makeup it has to be my under-eye circles. For most of my teenage life I suffered from insomnia and I've only recently managed to fall asleep within an hour of putting my head on a pillow. Years of sleeplessness, alongside being a complete and utter night owl (I'm most productive at night! ), has left me with some rather shocking under-eye circles that are not just dark but are rather sunken in appearance too. After trying so many different kinds of concealers, and even the YSL Touche Eclat many years ago, I've never managed to find a product that achieved that fresh, I've had 8 hours of sleep last night look. 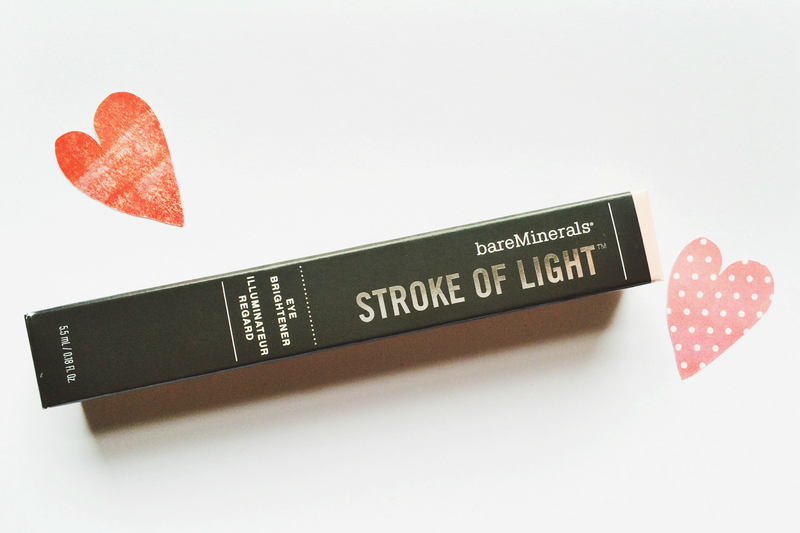 So, when bareMinerals' Stroke of Light* appeared on my doorstep I didn't have any high expectations for it. It had one mighty task ahead of it and my under eye circles were ready - after a series of 3 a.m. bedtimes they were never in a better - or shall I say worse - condition to put Stroke of Light to the test. 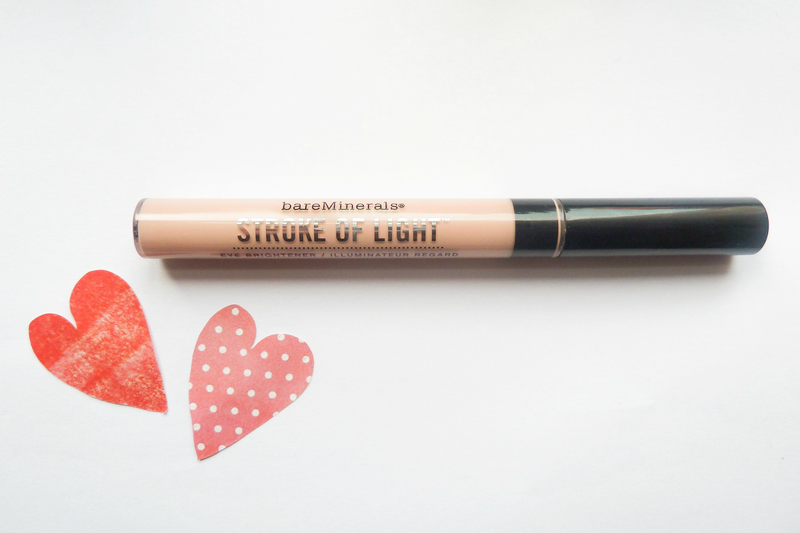 Personally, I've found Stroke of Light to work best over the top of my concealer as opposed to wearing it alone but ladies with lighter, less dramatic circles could easily use this alone to add a little bit of coverage and brightness! 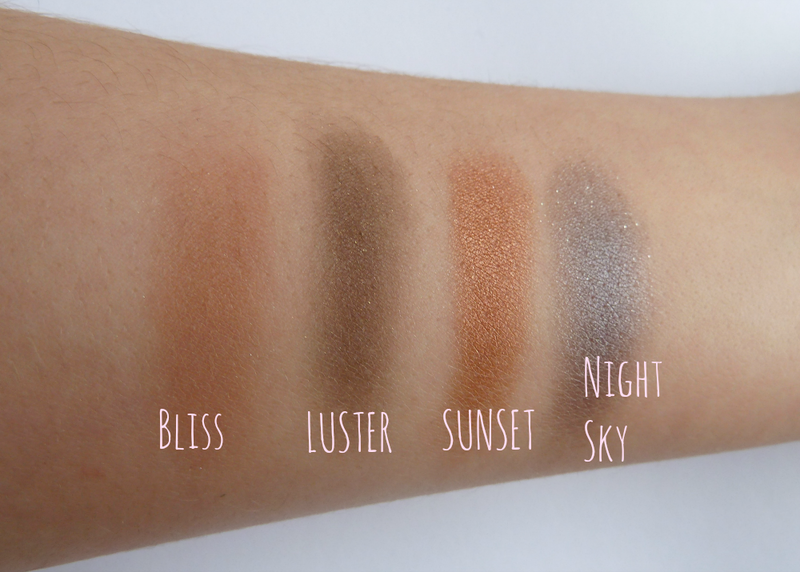 The Eye Brightener is available in four different shades - Luminous 1 to 4 - and I currently own the lightest shade. Luminous 1 is a very pink, creamy brightener and I find it tackles the purple/blue toned darkness of my under-eye circles amazingly. Just look at the photograph below, can you see how the almost bruised, sunkenness of the left eye has disappeared? Left: Collecton 2000 concealer and Stroke of Light // Right: Collection 2000 concealer in Fair only. Most of the initial redness has been hidden by my Collection 2000 concealer (and we all know how amazing that is!) but even after I've applied concealer I always find that I still look quite tired. However, once I've applied Stroke of Light under my eyes my entire face appears to light up and I feel as though I've just gained 5 hours of sleep just by applying a light layer! The only thing I didn't quite manage to capture completely in my photograph is the product's ability to reflect light. Stroke of Light really manages to diffuse darkness without adding any undesired sparkle and it honestly looks even more effective in person. The effectiveness of the product couldn't be much better in my opinion, but what about the application/longevity of the product I hear you ask? I use the doe foot applicator and dab a small amount on the inner corners of my eyes and a stroke across my under eye area. 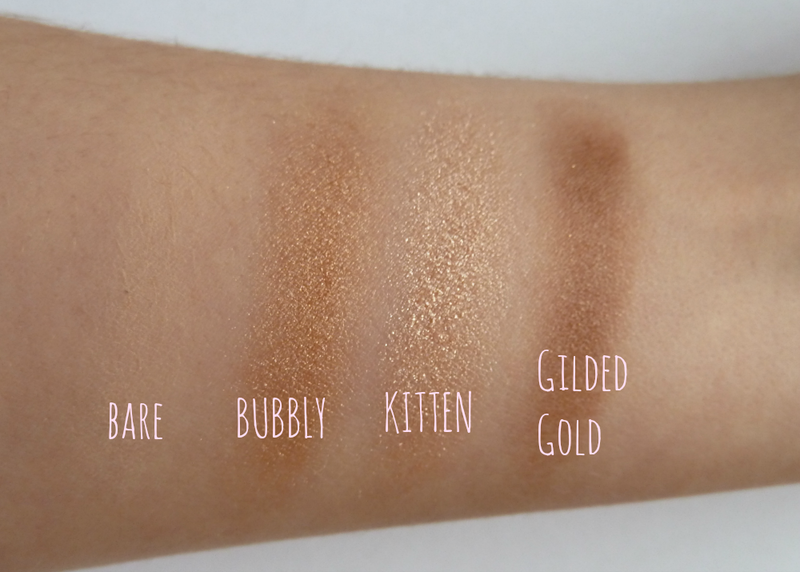 The product glides onto the skin and I use my finger to lightly blend it in. 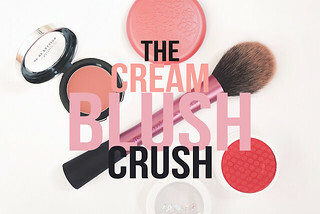 It has a very creamy, but sheer, texture and it feels almost silky when blended. 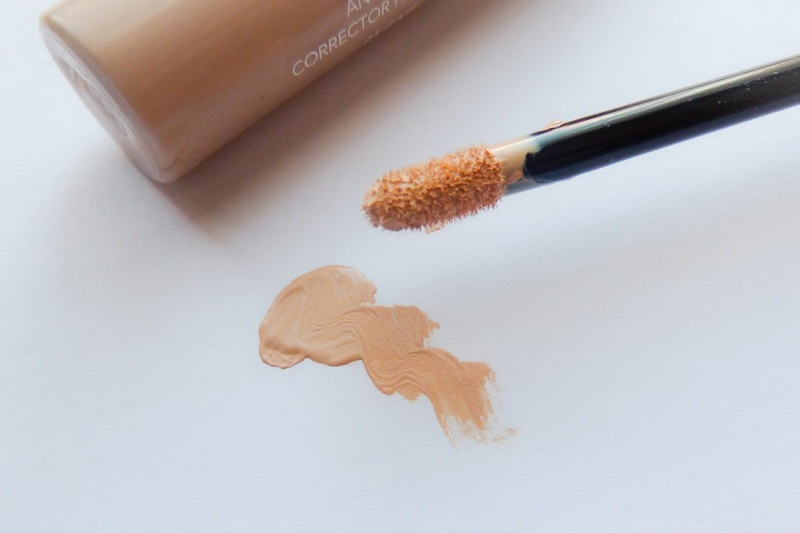 This sheerness is perfect when applying Stroke of Light on top of concealer as it provides a little more coverage and a brightening effect without making the under eye area cakey and feel heavy. 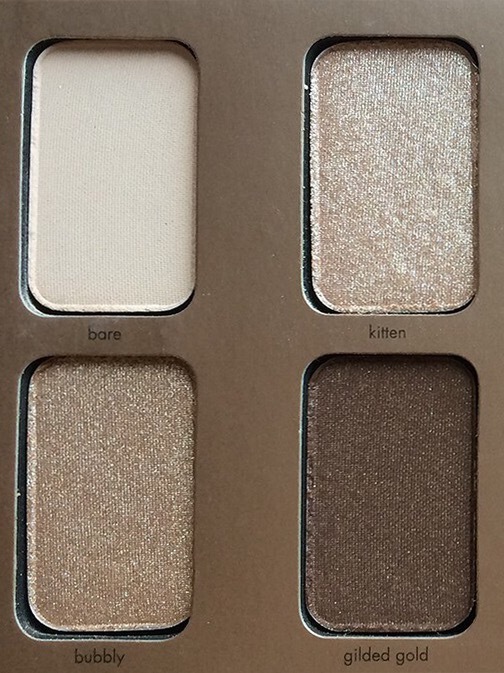 One thing I'm always cautious of is adding even more product under the eyes but Stroke of Light is almost weightless and pretty much unidentifiable on the skin. It just sinks into the skin and brightens the areas my concealer hasn't covered. Almost like magic! I usually set this very lightly with powder and voila! I look wide awake all day (even when I'm craving caffeine and trying not to fall asleep in lectures!) and after setting it lightly with powder I find it lasts at least 8 hours without any signs of creasing. Stroke of Light also claims to, over time, reduce the appearance of fine lines under the eyes and so far I have seen a slight improvement! Even though the pesky lines may still be visible they have reduced a little (I used to have two prominent lines underneath each eye) so I can't wait to see what happens after using this product for a few months! After speaking to one of the lovely make-up artists at bareMinerals I also discovered that you can use Stroke of Light as a highlighter - applying it across the cheeks, down the nose and above the cupids bow! 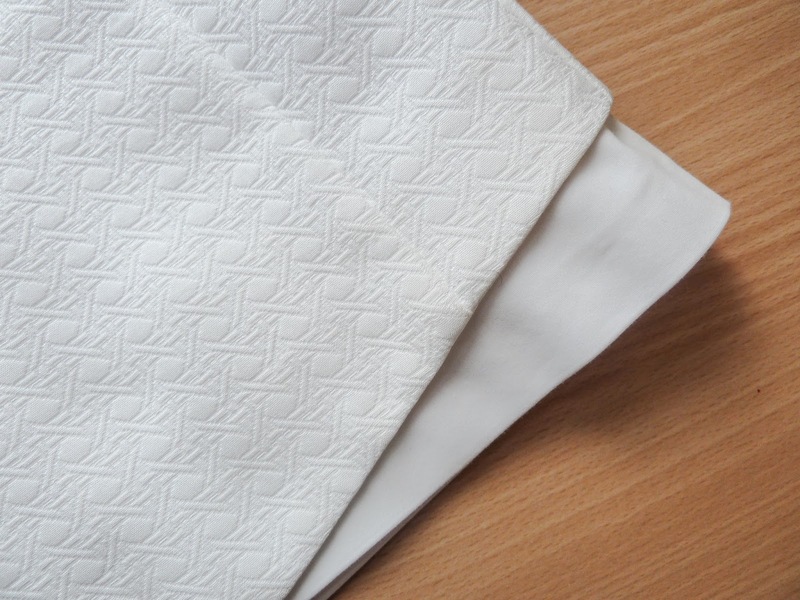 It's such a handy product to have in your bag and it's something I don't think I'm going to be able to live without. 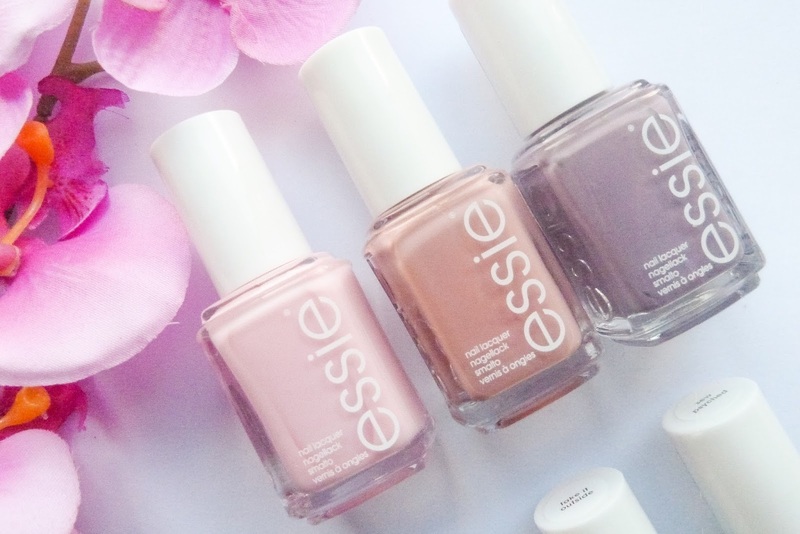 I'll be running to the counter to repurchase this the second it runs out! Have you tried Stroke of Light before? Let me know what you think in the comments below! Apart from the odd sale purchase and buying a new top for New Year's Eve, I haven't bought many pieces of clothing lately. I did, however, find myself in Topshop about two weeks ago - alone which is always dangerous when there's nobody to stop you from buying absolutely everything - and I picked up a skirt, a lace bralet and an embroidered blouse. I've been loving monochrome and experimenting with textures lately so when I spotted these three items I just couldn't leave the store without them! P.S. - please excuse my terrible photography. 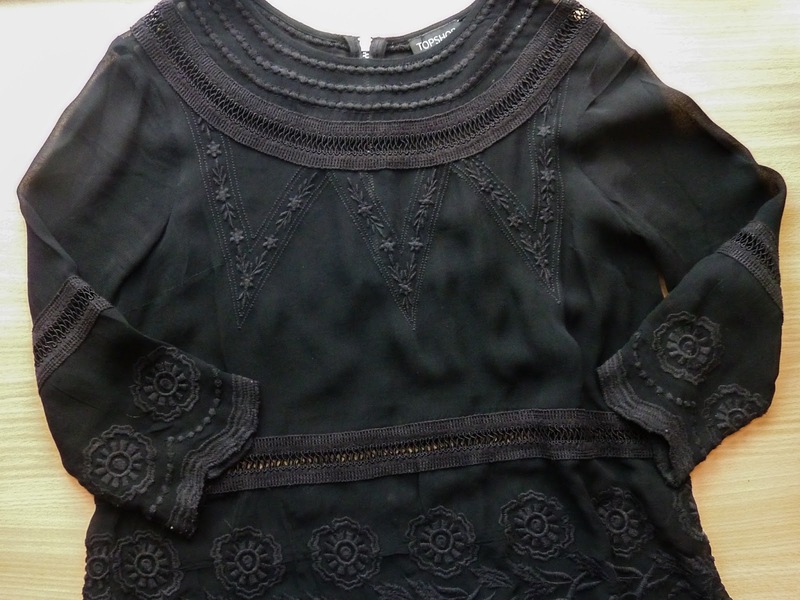 It appears that clothes do not like to be photographed on flat surfaces - who knew? There was nobody around to take a photo of me actually wearing the items so this was the only alternative! When I picked this up I wasn't aware that 'pelmet' apparently means a micro-mini skirt! 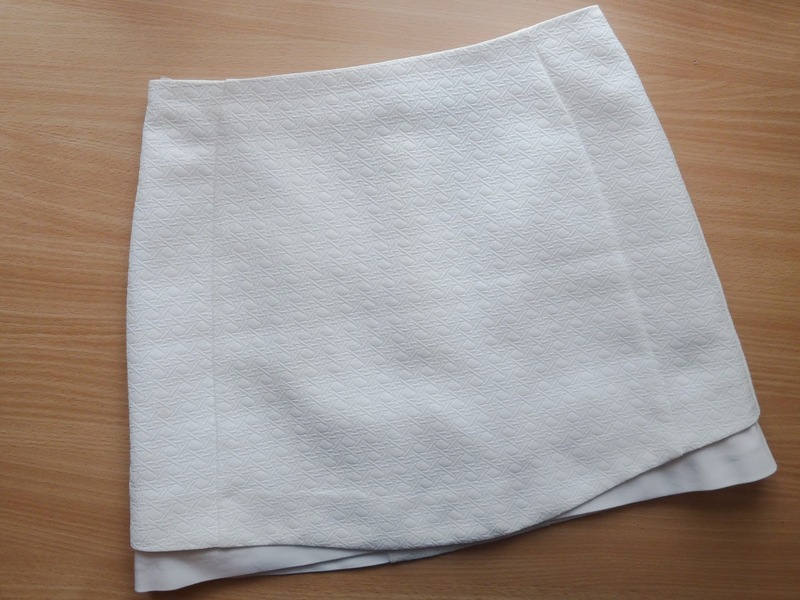 Although this skirt is definitely quite short I wouldn't consider it to be any shorter than some of my other mini skirts so don't be too put off by the name. 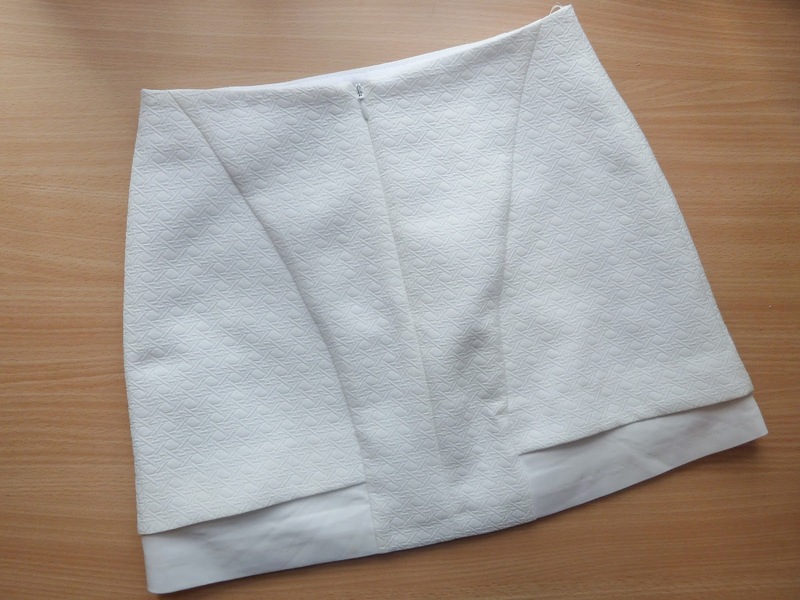 I've been wanting a white skirt for quite some time now - I just couldn't find the perfect one last summer - and I love this combination of the basketweave texture and the curved contrast panels. The skirt also features a thin slip underneath to avoid that see-through look and I adore the silhouette it creates. I purchased it to wear with the lace bralet below but I've even been wearing this during the day with tights, my Levi boots and a cute navy jumper! There's just something about white in winter I'm loving at the moment! It was the lovely patterned lace detailing on this bralet that initially caught my eye and it was the neckline and delicate features that sold it too me. I've been a fan of the lace bralet for quite some time but I've never felt comfortable wearing the usual, plunging V-neckline. I love the straight neck on the bralet and how pretty the lace at the top and bottom of the bralet looks on the skin. For now I can only see myself wearing this in the evening but I can't wait for summer when I can pair it with a pleated chiffon skirt and some cute sandals. I adore how elegant and minimal the straps are and I might have to pick up the white version as well before it goes out of stock! 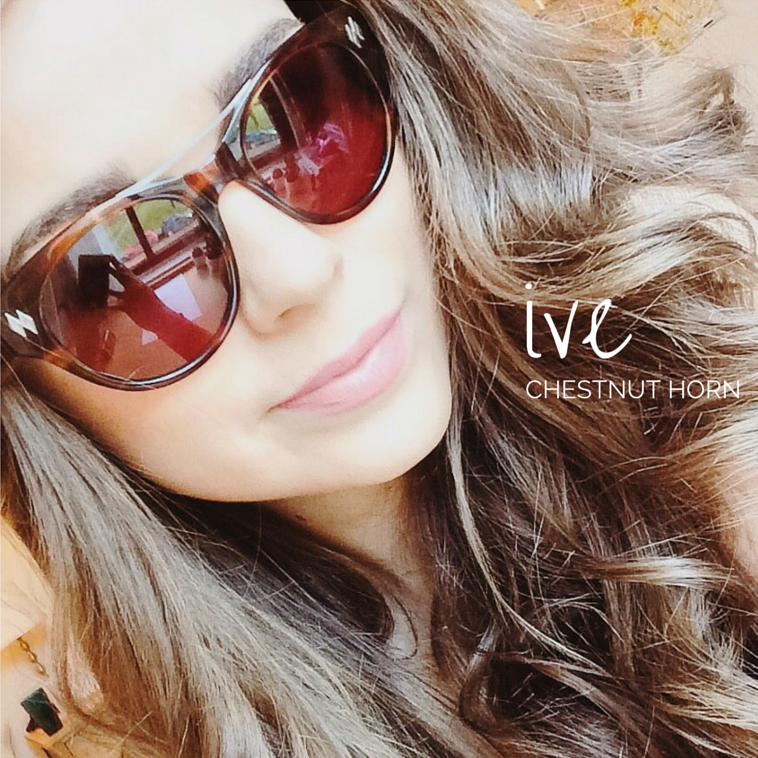 Have you purchased anything from Topshop lately? 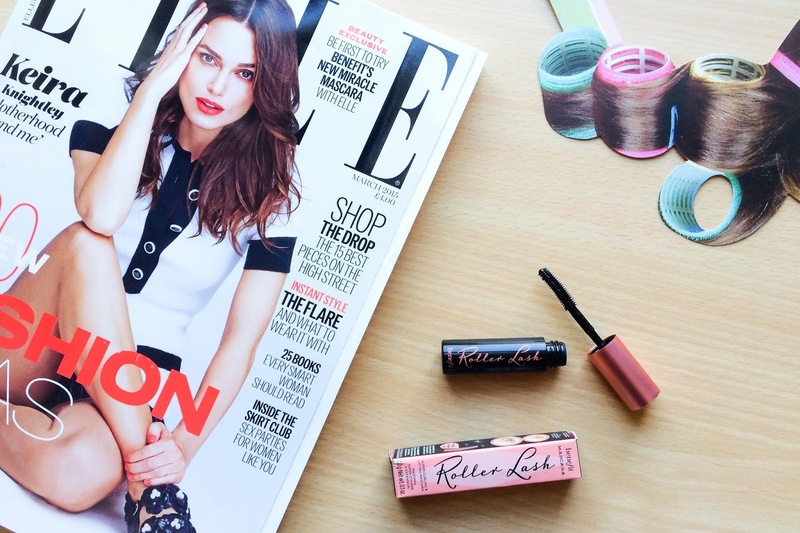 Is there any girl - or at least any beauty blogger - that hasn't bought a copy of Elle this month just so they can try out Benefit's new mascara Roller Lash? I've seen so many posts popping up on Bloglovin' about this mascara so I thought I'd add my thoughts on Benefit's newest product. 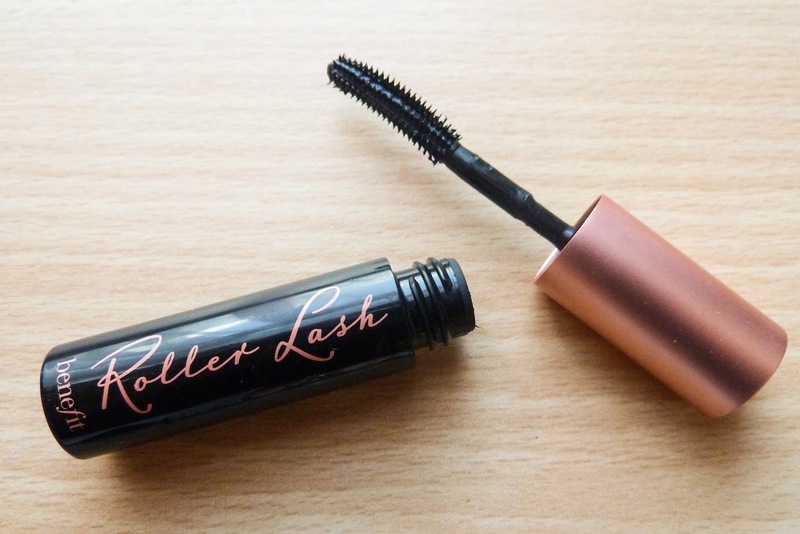 Roller Lash takes inspiration from the 1960s and hair rollers and the full sized packaging found here is, like all of Benefit's packaging, really adorable. If there's one thing Benefit always get right it's packaging. That, and their marketing strategies which are totally on point - giving a free sample before the product has been released is genius! 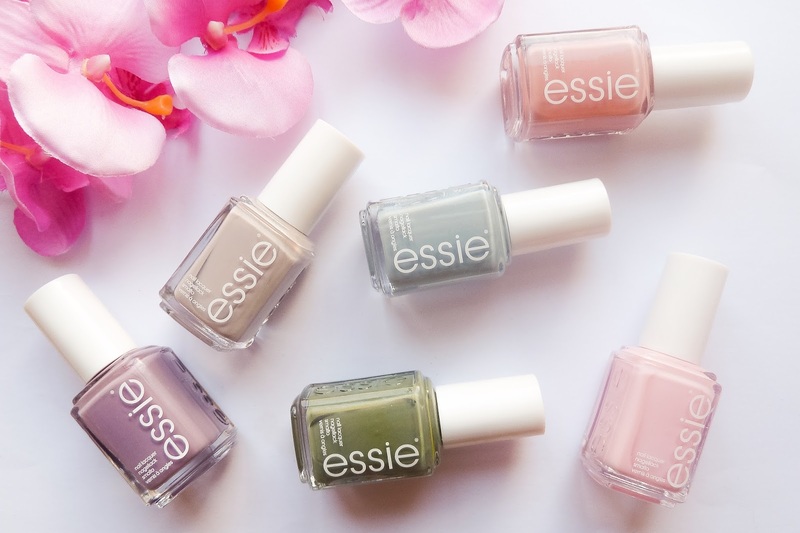 It no longer isolates smaller beauty bloggers and make-up lovers from getting involved with the hype that the bigger beauty bloggers create by receiving their full sized gift before release! A big round of applause to the people at Benefit HQ! The most exciting aspect of Roller Lash is the new Hook 'n' Roll brush which is said to grab, separate, lift and curl lashes. It's quite difficult to see in the photo above but the tiny hooks on the wand help curl and lift the lashes and Benefit claim that there's no longer any need for eyelash curlers when using this mascara! 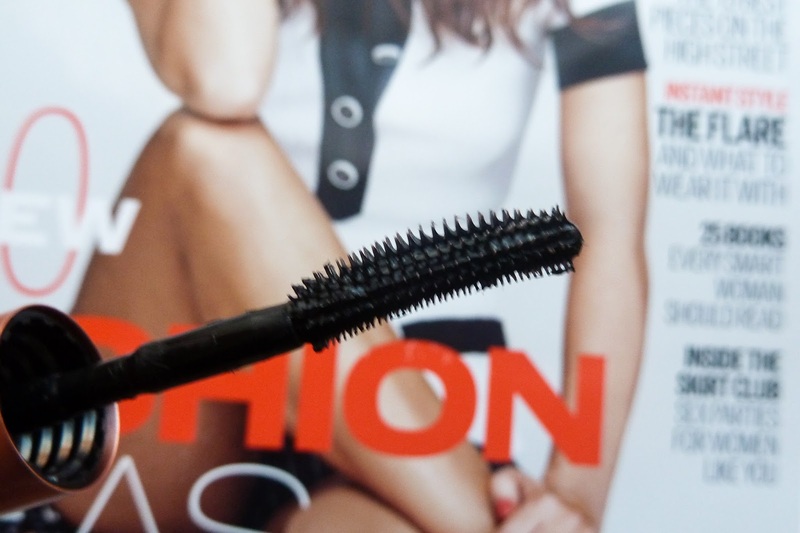 After testing this mascara out for a couple of days I'm still on the fence about the product and a little underwhelmed. Roller Lash definitely does curl the lashes, and the curl lasts for a long time, whilst lengthening them just as wonderfully as They're Real but I find that after a few hours it begins to transfer and smudge just below the brow bone (I have this problem with They're Real too!) It also doesn't separate the lashes as much as I would like it to but maybe it's just not that kind of mascara. Surprisingly, after an unpleasant start to the month - consisting of essay deadlines and exams *shudder* - January actually turned out to be much more enjoyable than I could have ever expected it to be! Along with eating out more times than I care to admit (and completely taking advantage of Yo! Sushi's January Blues offer), I finally bought my first ever iPhone and it hasn't left my side all month - who knew how easy communication could be when you have a functional, working phone?! 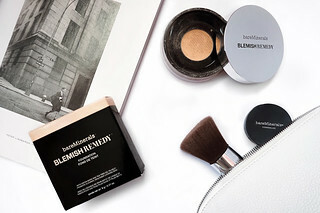 On the blogging front, I was possibly the luckiest girl ever and I had the opportunity to work with my all-time favourite make-up brand bareMinerals. After spending a few hysterical days in utter disbelief I actually managed to produce some content that is (hopefully) worth reading and you can check out my posts here and here (one more post is on the way!). As far as beauty is concerned, I've spent the majority of January hardly straying from my everyday make-up look. 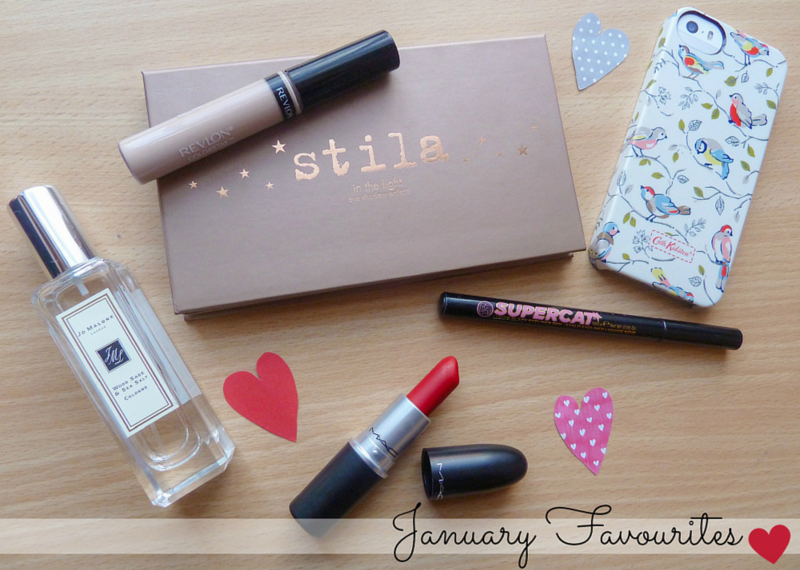 I have, however, had a little bit of time to play with some beauty products I received for /picked up over Christmas and I've discovered a couple of things that have found a permanent place in my make-up bag this month! Jo Malone Wood Sage & Sea Salt Cologne 30ml - £40: I can't help but feel glamorous when I wear my Jo Malone perfume. I was kindly given this for my birthday in October but I've been wearing it so sparingly as I never want it to run out. The Wood Sage & Sea Salt Cologne has accompanied me on every dinner date or night out in January. I can't quite put my finger on what I love so much about this scent but I've had to restrain myself from using up the entire bottle this month. MAC Ruby Woo - £15.50: As a lover of red lipstick how have I only just tried the famous Ruby Woo? 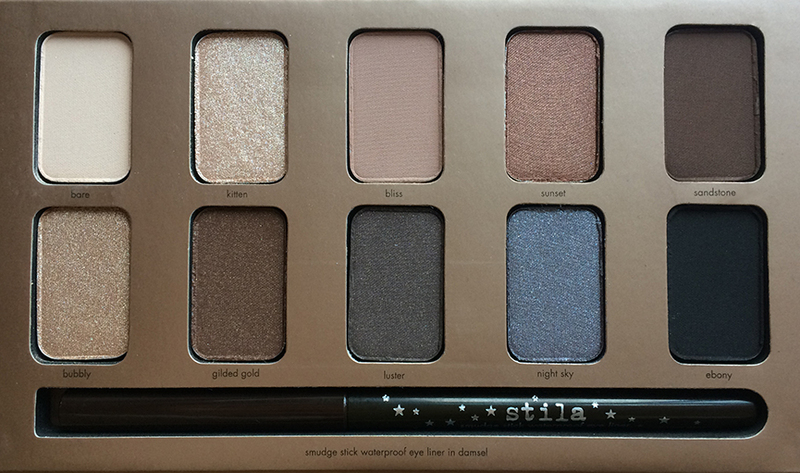 My boyfriend actually bought me this for Christmas (a complete surprise - somebody must have really been listening when I natter on about makeup!) and it was my lip colour of choice for New Year's Eve. 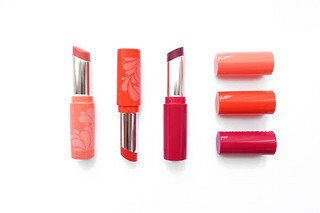 I love the matte finish and it's the perfect, classic red shade! It is a little bit drying but applying lip balm beforehand easily fixes the problem! 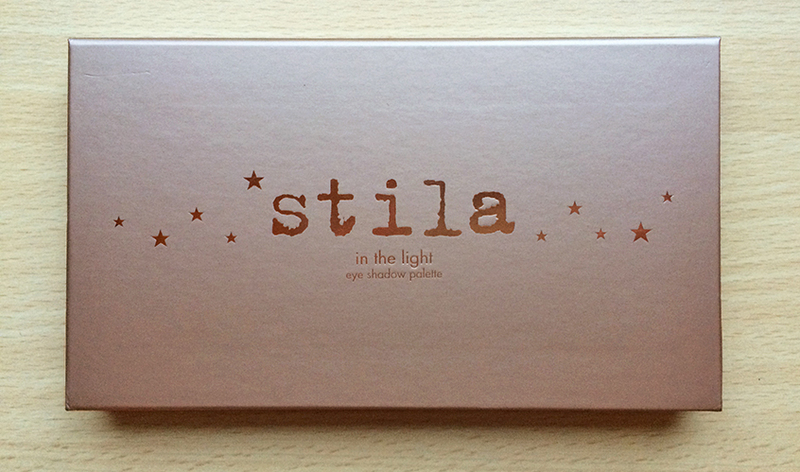 Stila In the Light Palette - £25: Oh my... I don't think I can explain how much I love this. I love it so much I've had dedicate an entire post to it which should be up sometime next week. 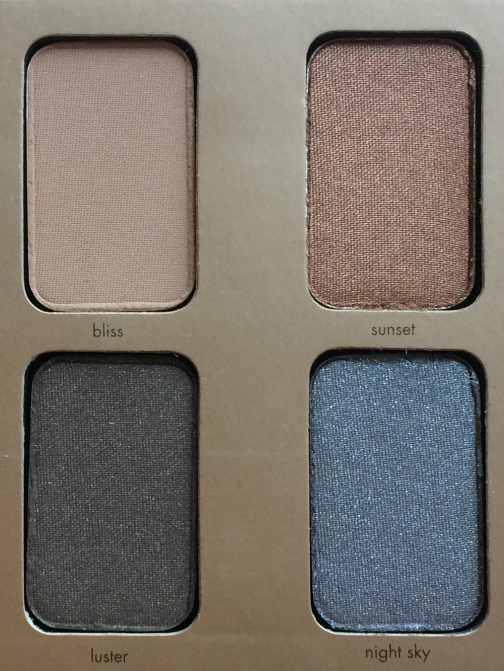 Everything about this palette is perfect - the formulation, the mixture of shimmer and matte shades and the shade selection (especially Kitten and Night's Sky) couldn't be better. 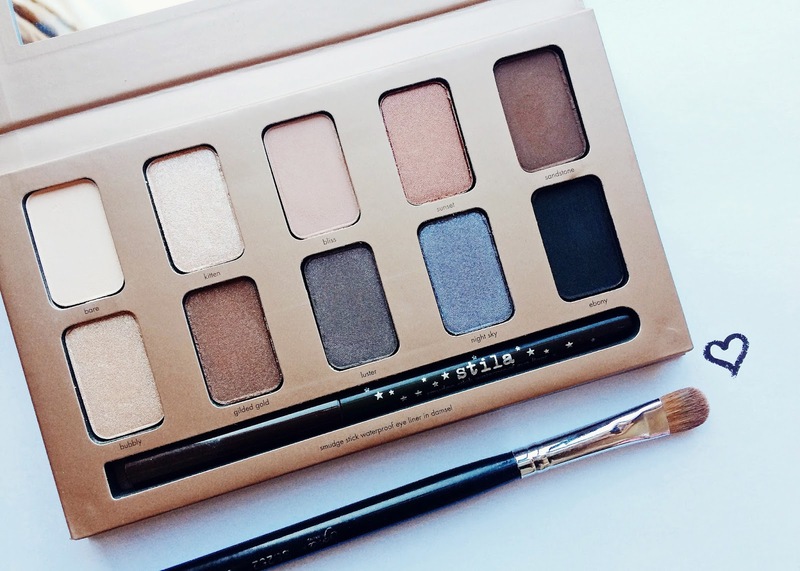 If you don't have this eyeshadow palette then you need to buy it no matter how many neutral palettes you own! 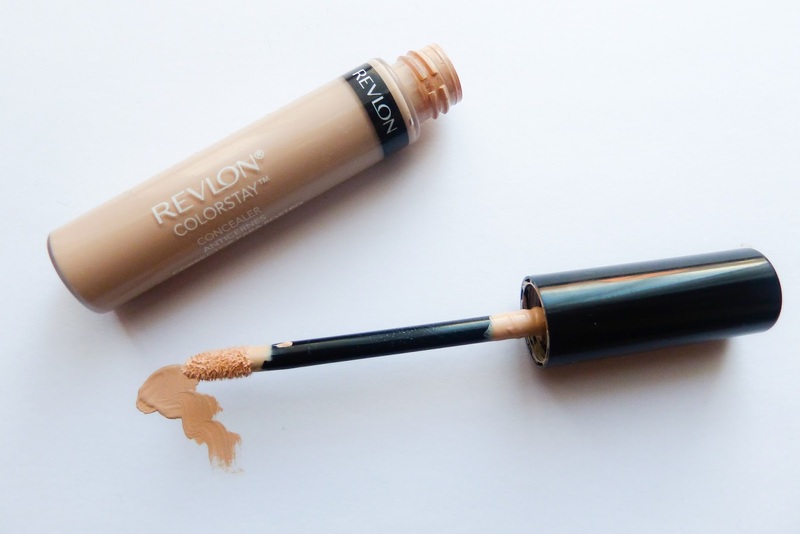 Revlon ColourStay Concealer - £6.99: After picking this up on New Year's Eve in a frantic dash around Boots I can't believe how impressive this concealer is. I've written a post on this which is going up on Tuesday but this concealer matches my skin perfectly and covers so well whilst blending seamlessly into the skin! Fashion: In January it's simply too cold for tights yet revision in the library calls for comfort that denim simply cannot offer. My solution? Meet Topshop's Leigh Jeans, which in all honestly don't feel like jeans at all! I have them in Black and a light Blue colour but I'm itching to get my hands on a Dark Vintage Blue pair. Music: ♫ Ben Howard - I Forget Where We Were and all of Taylor Swift's 1989! Random: My iPhone 5s and my cute Cath Kidston case! I've always been a long time lover of eyeliner and until recently I thought nothing could be better than super pigmented, black liquid liner. To me it was a look that could go with absolutely everything but recently, on days where I've been wearing a lighter, fresher make-up look, I've been feeling a little disappointed and unsatisfied every time I add my trusty liquid liner to my eyes. Maybe it's because I'm feeling inspired by the many 'no make-up' make-up looks that are dominating my Pinterest feed but liquid liner is just too harsh for my minimal make-up days. So, just as I was on the hunt for an alternative liner, bareMinerals kindly sent me their Lasting Line eyeliner in Forever Brandy to try out. 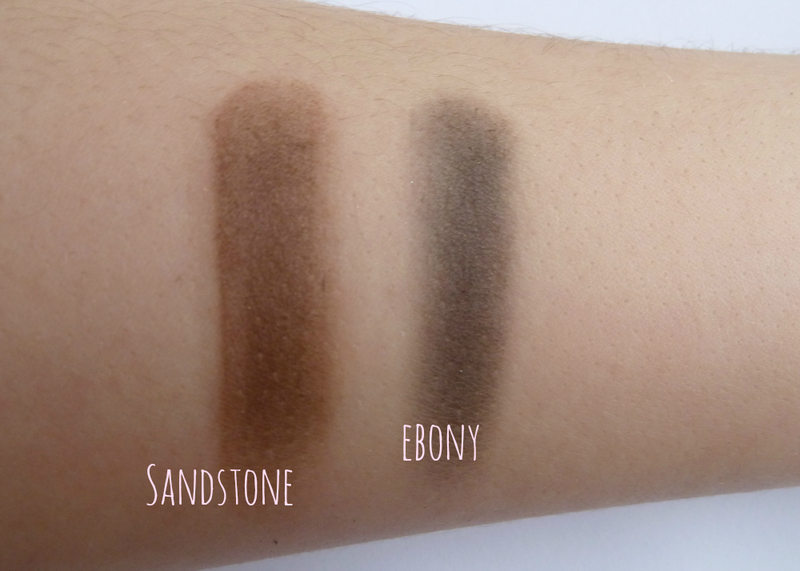 Forever Brandy is a beautiful brown/black shade with a hint of purple that really brings out the green in my eyes and adds a little warmth to the liner. The swatch above, and the colour of the liner itself, really doesn't reflect how pretty this liner is as the muted purple undertones only really appear when I add this to my eyes. 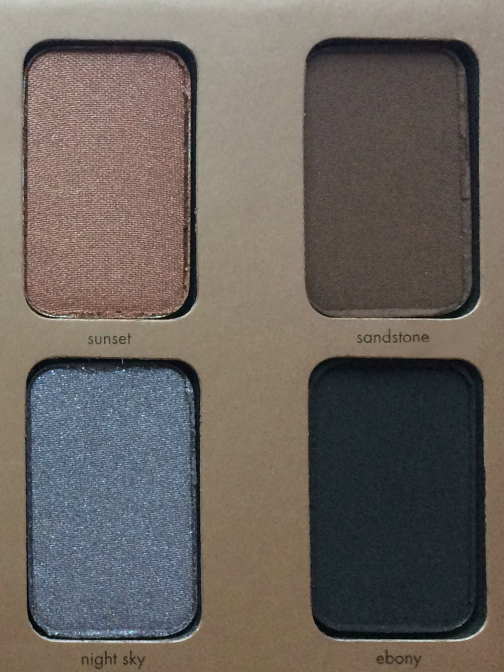 It's beautifully subtle and the mixture of black, brown and purple is really flattering and helps me eyes to pop. 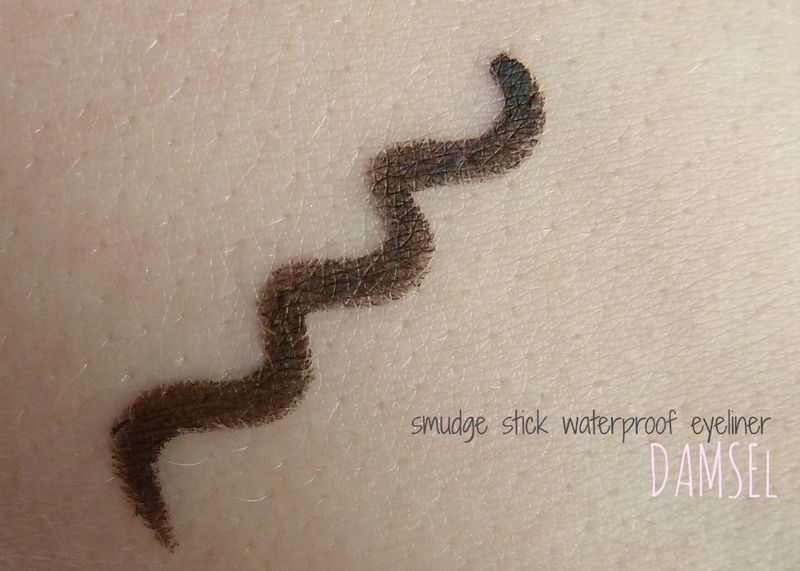 The liner has the creamiest texture and it glides along the lids so smoothly, reminding me a lot of the Stila Smudge Stick Waterproof eyeliner but I find the bareMinerals Lasting Line eyeliner easier to smudge. I prefer to create a light line across the top of my lids, smudging it in my lashes and creating a small, pointed finish to the line by using the angled smudge tip. The liner also looks lovely underneath the bottom lashes but I find it doesn't stay on my waterline very well although not many liners do and this is something I've always had trouble with even with the Stila liner! Maybe I have very watery eyes? Who knows? In every other form of application I find this eyeliner lasts all day: it doesn't smudge on my lids or under my bottom lashes and I don't have to worry about reapplication during the day. The design of the product is something I'm a huge fan of, the liner itself feels light and smooth in my hand and the twist-up pencil makes blunt eyeliner a thing of the past. 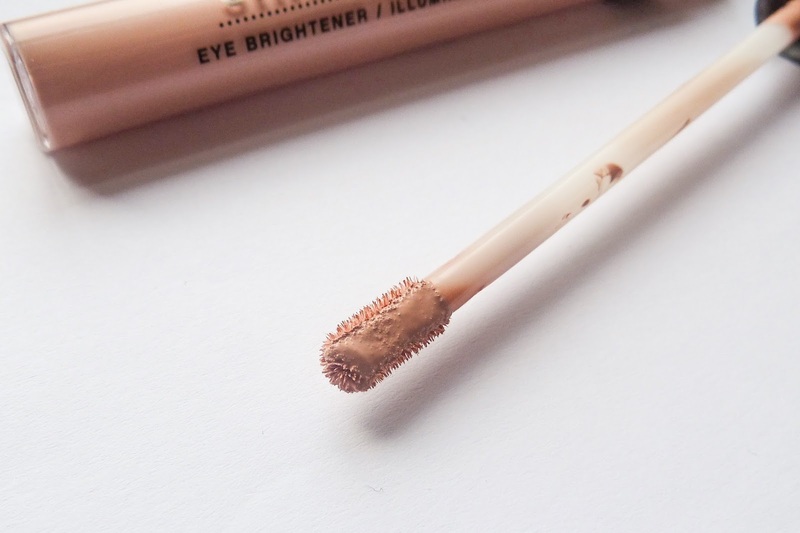 The smudge tip on the other end of the liner makes smoky eyes really easy and if you pop this out it reveals a little sharpener for times when you want a precise, fine line (and it's also really tiny and cute!) The liner contains 0.35g / 0.012 oz of product which, when I've looked at the rest of my eyeliners, seems to be standard eyeliner size and it retails for £14. The bareMinerals Lasting Line Long-Wearing Eyeliners come in a variety of colours that are all wearable and beautiful. As well as a black liner and a variety of brown liners they also have some really pretty coloured liners. 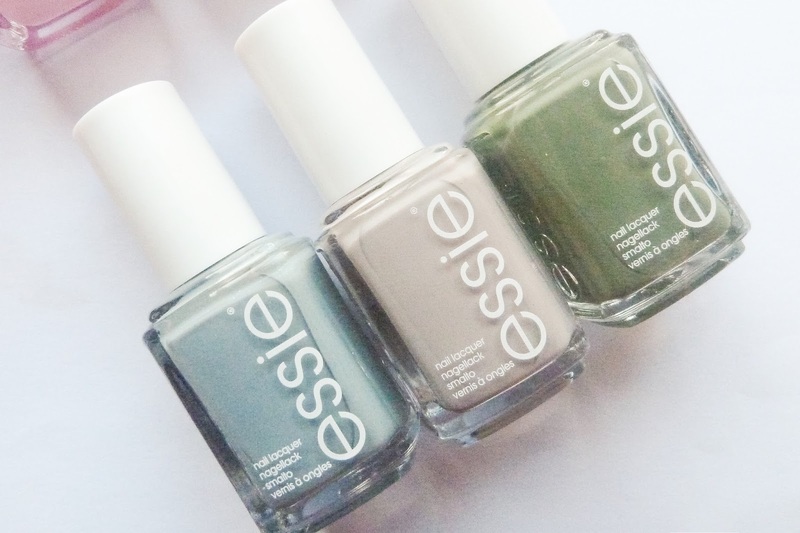 I currently have my eye on Infinite Sage, a gorgeous Olive shade, and Nonstop Navy which contains tiny little pieces of glitter! Have you tried the bareMinerals Lasting Line Long-Wearing Eyeliners? 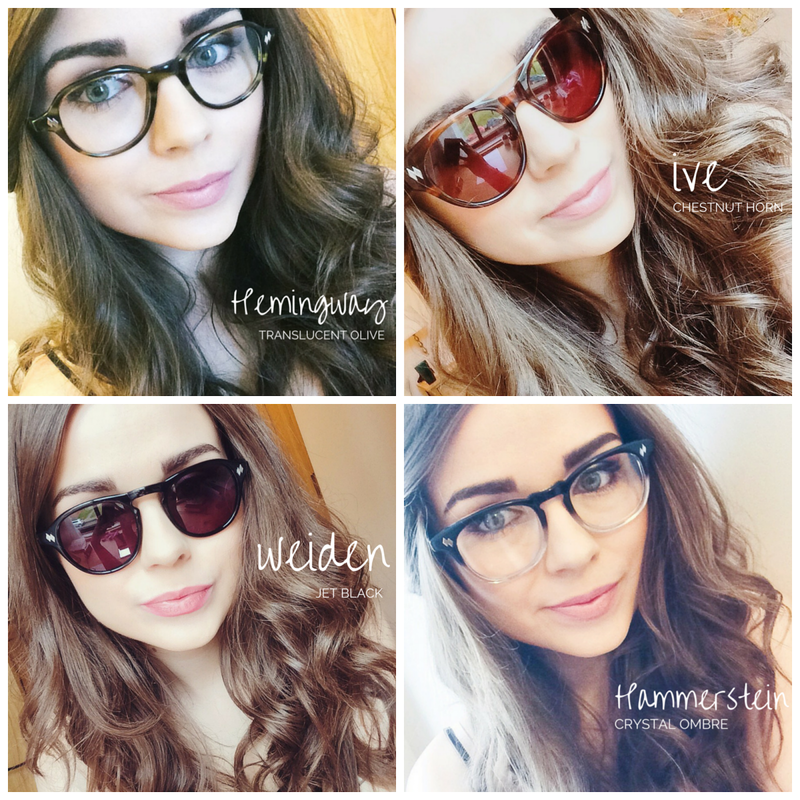 Let me know your favourite eyeliner in the comments below!